LOS ANGELES, CA--(Marketwired - May 28, 2013) - Epic Records' recording artist CHER LLOYD and NOKIA today announced that they would join together on a tweet-to-reveal social media promotion. The program will leverage and engage Cher Lloyd's nearly 10 million fans across her multiple social media platforms offering select winners once in a lifetime meet-and-greet experiences and autographed Cher Lloyd merchandise. On May 28, 2013, Cher Lloyd will announce the tweet-to-reveal giveaway and encourage her fans to participate by visiting www.cherlloyalty.com. The branded microsite will include a digital clock counting down to the start of the first tweet-to-reveal ticket giveaway. While waiting for the clock to hit zero, fans can tweet using #CherLloyalty #Entry for a chance to win autographed merchandise or albums from Cher Lloyd. Beginning May 30th, www.cherlloyalty.com will include an aerial map of the area where the next Cher Lloyd show will take place. Fan tweets using #CherLloyalty will incrementally zoom in on the map to reveal the location of a specific location where fans can pick up their tickets. Once the location is revealed, the first five (5) consumers to arrive at the store will win a pair of tickets with a meet and greet to the Cher Lloyd show that night. The tweet-to-reveal giveaway will be replicated daily for all five concerts taking place from May 30 - June 2. Ticket winners will be announced on www.cherlloyalty.com. Singer, rapper, and songwriter Cher Lloyd is already a star in her native U.K. thanks to a string of buzzed-about performances on Britain's version of The X Factor, a No. 1 debut single ("Swagger Jagger"), and a well-received album (Sticks & Stones) that shot to No. 4 on the U.K. chart. And with the May release of her first U.S. single "Want U Back" -- a cheeky slice of alternative urban pop that the Huffington Post said "sounds like an instant summer radio hit" -- it's easy to see why. As the New York Times put it: "...she's the future." An outspoken, determined individualist who has talent to back up the confident attitude, Cher has that intangible quality that draws people in, as well as the rare ability to straddle the ever-shifting line between commercial and credible. Now Cher is looking forward to making her mark in America with "Want U Back" and the upcoming release of Sticks & Stones. Nokia Music is a mobile streaming music experience exclusive to Nokia Lumia handsets currently available at all AT&T stores. Consumers can stream unlimited, ad-free music from over 150 playlists that are curated and kept up to date by an expert team of dedicated music editors. The playlists span a wide spectrum of musical genres from the latest chart-topping hits and new releases to obscure underground tracks in developing genres. Nokia Music also offers playlists created by global artists such as Green Day, who are an active part of the service curating their namesake playlists. Moreover, music fans can take mixes offline, or create their own personal soundtrack by selecting the Nokia Music 'CREATE A MIX' function and generating a playlist based on, and inspired by, the artists they love, or tracks that are in their own personal music collection. 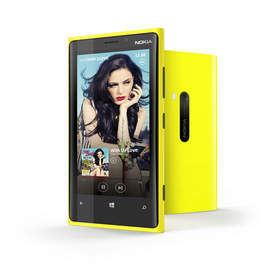 Fans will also be able to access a special playlist, curated by Cher Lloyd exclusively for Nokia Music.